Art in Conversation (AiC) is a talk-series by Uno Lona Academy that was initiated with the purpose of engaging art and design students with practitioners across creative industries. 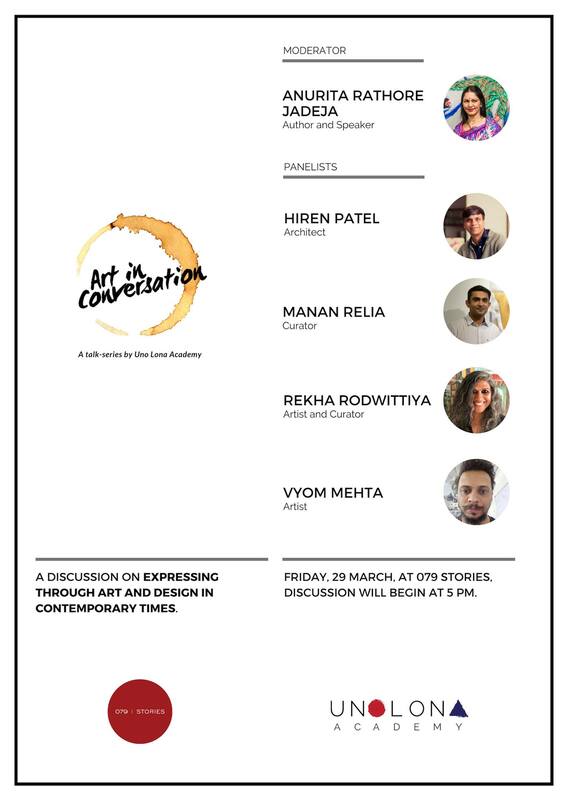 With 9 successful talks organised over the year, we openly invite you all to the final session of the talk series; a panel discussion where architect Hiren Patel, curator Manan Relia, artist and curator Rekha Rodwittiya and artist Vyom Mehta will be in conversation with Anurita Rathore Jadeja to discuss ‘Expressing through art and design in contemporary times’. This event by Uno Lona Academy is in collaboration with 079 Stories.